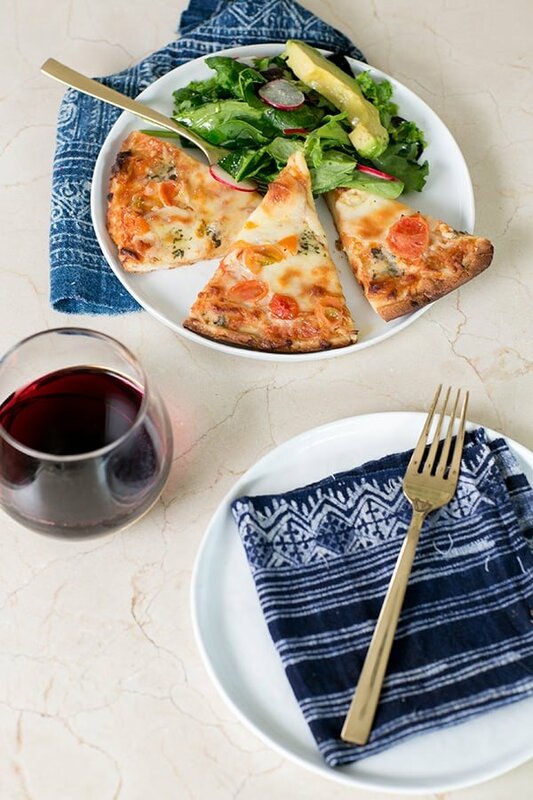 I’ll be the first to admit, I don’t cook extensive meals during the week… I just can’t do it after a long day of working and cleaning up after testing recipes! And then, even the thought of bringing out a million more dishes and ingredients just to do it ALL over again… ahhh!! 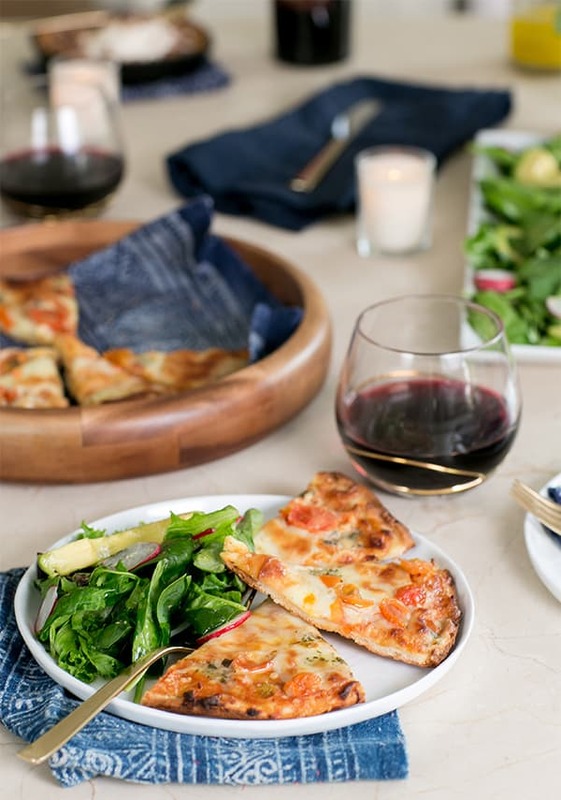 I still love finding time to host an easy and charming date night, so I’m sharing some of my tips on creating a delicious and gourmet meal using Bon Appétit pizza! 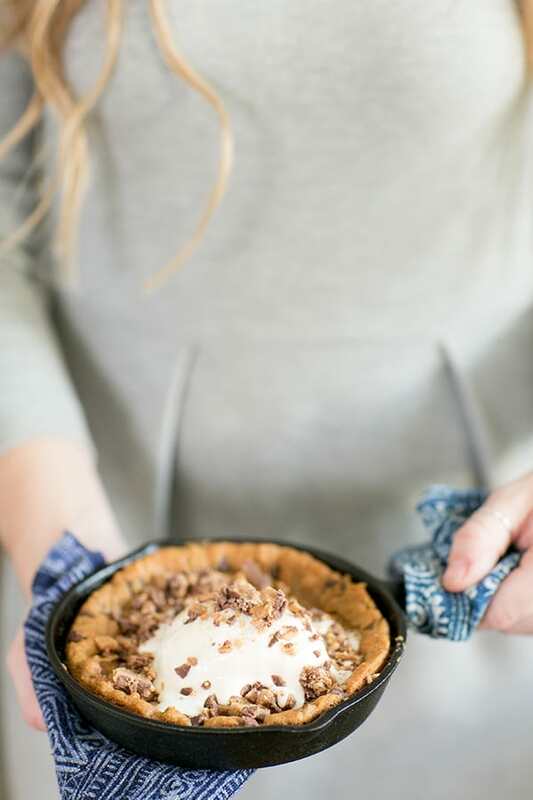 Also, sharing the most delicious and easy dessert EVER!! Hope you enjoy and that you’re inspired to keep it simple, but still charming! Cheers! 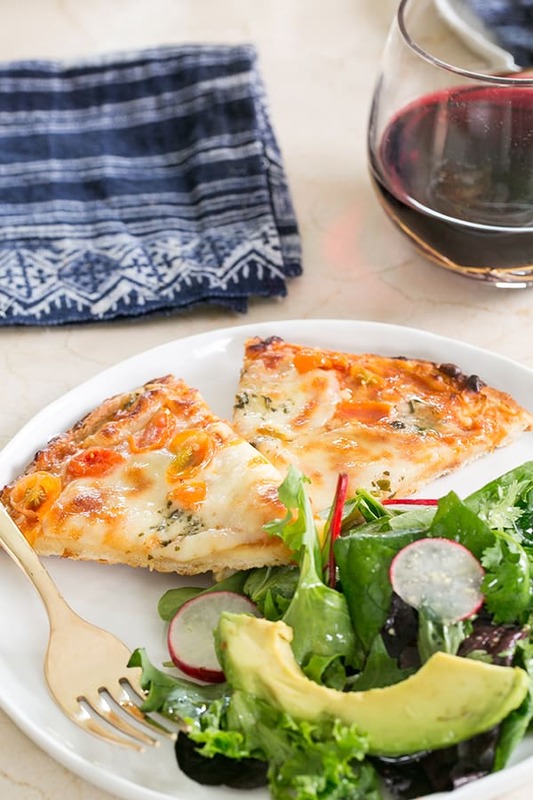 Pizza is the best date night food! That dessert looks super yummy too! It really is, haha!! Thanks Andrea!! What a fun idea for date night! 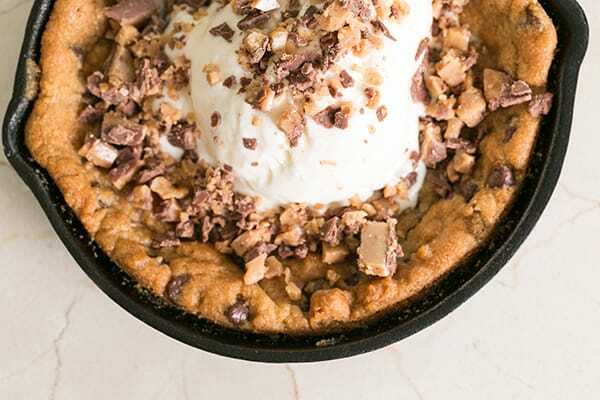 That skillet cookie is calling my name. Haha!! Thanks Ashley!!! We’ve been doing them once a week now!